A Bill of Rights for Northern Ireland is one of the outstanding issues of the Good Friday/Belfast Agreement. 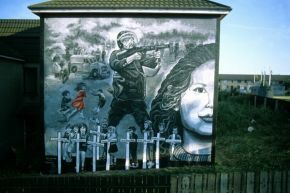 In response to its mandate under the Belfast/Good Friday Agreement, the Northern Ireland Human Rights Commission (NIHRC) delivered the advice on a Bill of Rights to the British Government in 2008. The following year, in 2009, the Northern Ireland Office (NIO) responded to this advice by publishing its consultation document. The NIO’s response was largely a rejection of the Commission’s approach. Following the general election in 2010, and the formation of a Conservative-led coalition government with the Liberal Democrats, in March 2011 a Commission on a Bill of Rights for the UK was established. That Commission concluded in December 2012 that a Bill of Rights for Northern Ireland was a separate issue and should proceed accordingly. However, the British Government has not yet responded to these findings nor has the NIHRC’s advice (alongside the NIO’s consultation document in 2009) been deliberated on through all-party discussions. Since 2009 there has been little further discussion on a Northern Ireland Bill of Rights between the parties and the government. The absence of political debate has created a vacuum on furthering human rights protection. To safeguard against the weakening of human rights standards post Brexit, and to ensure that human rights remain central to our peace process, we are inviting you to a conversation about a Bill of Rights for Northern Ireland. At this event we will present our thoughts around a plan for a model Bill to advance this significant constitutional project. This seminar is funded by Joseph Rowntree Charitable Trust.